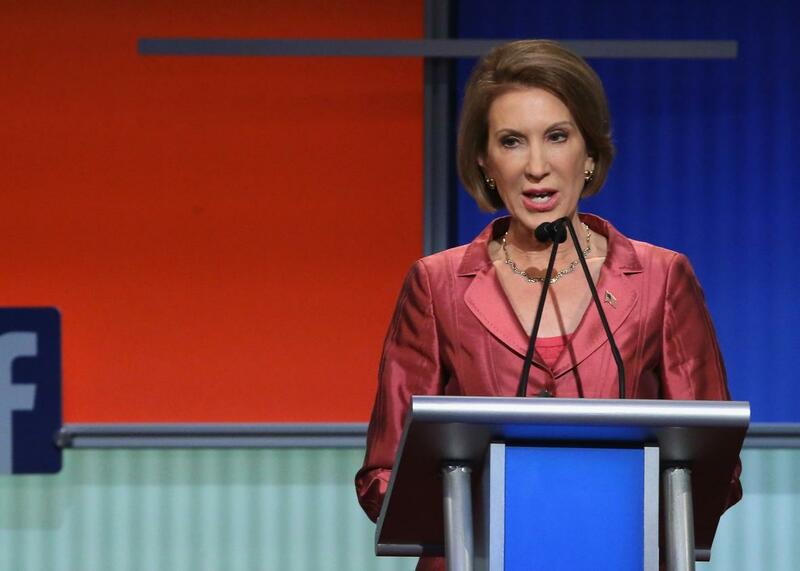 Carly Fiorina: The former Hewlett Packard CEO won the kids' table debate. Carly Fiorina Won the Preliminary Debate. It Wasn’t Even Close. Republican presidential candidate Carly Fiorina participates in a presidential pre-debate forum hosted by Fox News and Facebook at the Quicken Loans Arena Aug. 6, 2015 in Cleveland, Ohio. Seven Republican presidential hopefuls assembled at the Quicken Loans Arena for the first of two GOP debates Thursday evening, but one candidate was not like the others. Former Hewlett Packard CEO Carly Fiorina immediately distinguished herself among those behind a podium. Fiorina was poised, and her answers were crisp, specific, and substantive. Admittedly, her competition was from candidates who couldn’t crack the top 10 in early GOP primary polling. But if the first GOP debate in Cleveland amounted to the “kids table,” Fiorina looked like the one adult in the (almost empty) room. *Correction, Aug. 6, 2015: Will Dobson misstated that former New York Gov. George Pataki suggested Carly Fiorina would be a good president. It was former Texas Gov. Rick Perry who suggested that.